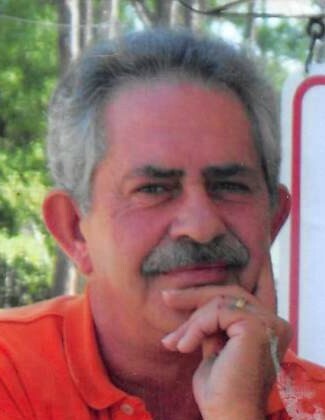 Joey Stanley Nipper, age 60, of Nicholls, GA passed away on Friday, august 31, 2018, at Coffee Regional Medical Center. Mr. Nipper was born on January 20, 1958, in Douglas, Georgia to the late Lewis Edward Nipper and Bertha Mae Cato Nipper. Mr. Nipper was a member of Saving Grace Ministries, a Real Estate Agent and Driver for Fedex. He Loved his church, his grandchildren and his dogs. His survivors include: Wife, Betty Sue Atkinson Nipper of .Nicholls, GA; Son: Cory Nipper and wife Antonia of Douglas, GA.; Sister: Elizabeth Gillis; Brother: Thomas Nipper of Douglas, GA; Three Grandchildren: Justice Smith and husband David; Michael Day and Kensley Day; Several nieces and nephews, Special friends and Mother of our grandchild; Krystal and Kevin Wood of Douglas, GA. He was preceded in death by his parents Lewis Edward Nipper and Bertha Mae Cato Nipper, and a sister Sue Ann Nipper. Funeral services will be held on Tuesday, September 4, 2018 at 2:00 PM at the Saving Grace Ministries with Rev. Cliff Kirkland, Rev. Marshall Adcock, and Rev. Byron Griffis officiating. The family will receive friends Monday, September 3, 2018 from 6:00 PM to 9:00 PM at Saving Grace Ministries.